If you are an adventure enthusiast or an ardent trekker, then the lofty peaks of Himachal can take you on a refreshingly memorable journey of the lifetime. To challenge your endurance and passion for treks, we at Renok Adventures bring you 5 easy treks to leave footprints in the salient mountain ranges of Himachal. With its perennial rivers, green pastures, mighty hills and friendly folks, the state of Himachal Pradesh overflows with the beauty of nature in abundance. But Himachal is just not about Kullu-Manali, Shimla or Dharamshala – the destinations most popularly frequented by the honeymooners or family vacationers. If you are an adventure enthusiast or an ardent trekker, then the lofty peaks of Himachal can take you on a refreshingly memorable journey of a lifetime. To challenge your endurance and passion for trekking, Renok brings you 5 Easy Trekking in Himachal to leave footprints in the salient mountain ranges. The Hampta Pass Trek connecting Kullu and Lahaul & Spiti valley at 14400 feet, is a gradual ascent from Jobri and is ideal for first time trekkers who wants to start trekking in the himalayas . Trekking through the pine, oak and maple forests, crossing the Hampta River, racing over the vast grassy meadows, and finally making your way through rocks and boulders will bring you amidst glacier snouts and snow clad mountain peaks and you get to visit Chadrataal Lake as well. This easy treks in Himachal has to offer all the scenic beauties of Himachal and all the adventure that you have waited for. 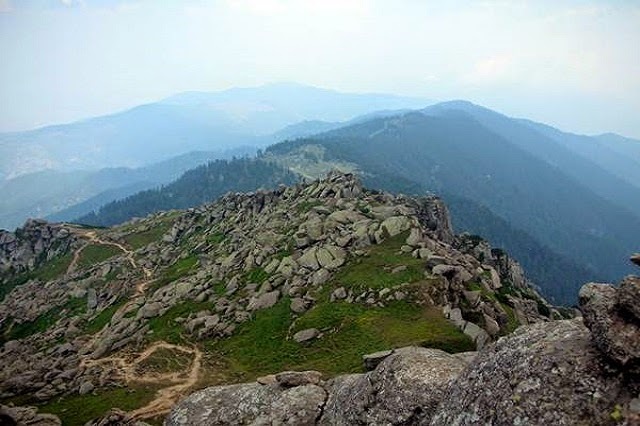 Chanderkhani Pass Trek or Malana Trek famous trekking in Himachal and is calm and divine with a spellbinding view of the Deo Tibba peak, Pir Panjal and Parvati ranges. The legend in this region goes that the presiding deity released a basket of Gods here, making it known as the Valley of Gods. Commencing the trek from Naggar, you can circle the range as you climb gently and return (a little more steeply) via Malana. The forests of chestnut, deodar and pine flank your path and lead into the higher alpine meadows. Malana town with a history lets you experience the culture and life of the hill folk. When you’re looking for a thrilling journey to experience nature’s most beautiful landscapes, deep gorges, silvery streams, blue lakes and Deodar forests, a trek to Indrahar pass in the Dhauladhar range is what we recommend. It is also the route for the Gaddi shepherds in summer. McLeod Gunj, home to the Dalai Lama is where you begin the climb up to Triund. Indrahar pass also offers a magnificent view of the Manimahesh Kailash and Pir Panjal ranges. Do not forget to stop for a refreshing camp at the tranquil Minikiani and the Kareri lakes on your way down! Possibly the best initiation into trekking in himachal is the Beas Kund trek and best amongst all easy treks in Himachal, Trek to the source of the Beas River, a glacial tarn at 12,000 ft. Following the upper Solang valley through the forests of spruce and oak and finally coming in view of the majestic Hanuman Tibba and other peaks gleaming in the sun will fill you with a sense of achievement. The delicate mountain flowers, the coarse moraine and the gentle and mirthful hill folk complete your experience during this trek. Did you know that the name ‘Beas’ is derived from ‘Vyas’, the legendary author who penned down the epic ‘Mahabharata’? Also known as Chur Chandani, means ‘a mountain clothed in the moonlight’, this tallest peak outside of the Himalayas is another reason to trekking in himachal besides the splendid flora and fauna. This is one of the most famous of all easy treks in Himachal. Starting from Nauradhar, the trek takes you through the most spectacular views of the Sirmar valley. The monal, pheasant and other birds are common sightings. Atop the summit is perfect for a view of the entire Badrinath and Kedarnath valleys. Walking among alpine flowers, mountain herbs (Hanuman is known to have found the lifesaving herb here), the forests and the uneven moraines is an exhilarating experience. What is your first pick to venture for a riveting trekking in Himachal experience? Know more, come trek with us! !